Support The Thom Hartmann Show via his patreon page. Yes, these days veiling Neptune floating through its own sign of secretive Pisces is having its eroding way with the truth these days but Truth was, is, and will always be the real deal, a Saturnian sort of thing! As you see by the dates, these conjunctions perfected just after the 1989 Inauguration of Bill Clinton on January 20, 1989 and put a firm Saturn-Neptune imprint upon Bill Clinton, his presidency, and his administration. Welfare reform and attempted healthcare reform are areas that first come to mind under Bill Clinton because of the association of social welfare, poverty, and illness with the Saturn-Neptune pair. And for those of us who use a late afternoon July 4, 1776 horoscope as America's natal or founding chart, there's the 10th house Saturn and the 9th house Neptune on either side of the MC (Midheaven; The Goal). Among other things, this pair's blended energies represent materialism (Saturn) vs Idealism (Neptune), a basic struggle for our nation since day one. And it can also indicate 'secret' or 'invisible' (Neptune) government (Saturn) and and Democratic Socialism which is the form of government that I believe a majority of Americans prefer (since Medicare and other successful programs are socialistic). This form of government supports life rather than the inherent death and suffering embedded within austerity programs, no matter their label or moniker. 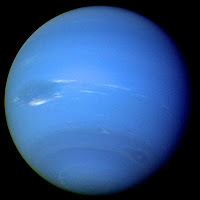 And of course, the 10 to 12 degree range of Capricorn opposes America's natal Sun (13Cap19; leadership) so that deceptive activities and schemes have found a nourishing base in which to flourish and deceptive business practices are constantly exposed if not held accountable in any significant way--all behavior approved of by fraudulent Neptune. There is a positive side to astrological Neptune, as you know, but we're considering politics here, that "organized system of hatreds." Obviously transit Saturn will again oppose US natal Sun, exact in mid-January 2019 when the challenge of Saturnian accountability comes to call. And when transit Saturn (today @3Cap11) moves within orb of, then conjoins, the 1989 conjunction degree of 10Cap22 in November 2018 (and of influence into January 2019), we may see authority figures and/or senior folk getting to the heart of the truth concerning matters that have previously eluded public knowledge because taking on such tedious tasks will be the order of the day--as it is already. And since a three-fer planetary conjunction denotes an extended period of time, my hope is that Truth will hold sway long enough to make a real difference in America and for the American People and the world now being run by criminal syndicates. Related: The Conspiracy Party and Its Neptune Return (number 5 of 5 returns coming in late December 2018). I'm hoping for the end of corruption and big dose of truth, too, Jude. If at all possible, I wouldn't mind it if someone cuts off the supply of kool aid that seems to have so very many people conned and befuddled. Maybe that will happen in mid January 2019. By the way, thank you for your column. I read it all the time and really enjoy your insights and perspective. Can somebody please cut off the national supply of kool aid that's blinded so very many Americans and rendered them befuddled and confused. Maybe this will happen in January 2019. Yes to your hope for the emergence of truth and the end of criminality. By the way, I really enjoy, appreciate and regularly read your column. Thank you for doing this service for us.